To get higher ROI, each mobile app nowadays has to be cross-platform. But no enterprise can make the application more popular and profitable simply by making is available for multiple mobile platforms. It must focus on a number of important points to deliver the product over different mobile platforms in a precise and flawless way. At the same time, the app developers need to ensure that the core functionality of the application is not being impacted while making it available for different platforms and devices. That is why; each business needs to focus on a number of key considerations to effectuate cross-platform mobile app development. To become popular, the mobile app must be intuitive enough to keep the end users captivated. Therefore, the developers need to focus on the app’s look and feel across different platforms and devices. They need to integrate a number of common design elements like icons, color scheme, important features, and user action flow. These common design elements will boost the user behavior when the same app is being accesses on different devices. The similar user experience will further encourage the users to access the same app on multiple mobile devices. The developers can drastically reduce the development time and cost by reusing the same code base across different platforms. The code reusability will help enterprises in building cross-platform mobile apps without deploying additional programmers. The code sharing and tweaking will further effectuate the organization’s mobile development strategy. So the enterprises must pick the right tools to share the same code base and resources smoothly across multiple platforms. Unlike the code base and graphics, the features and functionality of the mobile app cannot be shared across different platforms fully. But the developers need to ensure that the crucial features of the app are shared across multiple platforms. They also need to identify the crucial aspects of the application according to targeted mobile platform. However, they must ensure that the user experience, quality and performance of the app are maintained for each targeted mobile platform. Each mobile application, nowadays, must be compatible with both conventional and latest mobile devices. There are also chances that the enterprise has to frequently upgrade the mobile app to get higher ROI. So it has become essential for businesses to adopt agile development process. Also, they need to release a small set of functionality to make it easier for developers to update the application. The agile development process will help developers in integrating new features into the app based on the user behavior. The REST APIs makes it easier for developers to boost the performance and efficiency of cross-platform mobile apps. As they can send and retrieve HTTP requests the REST APIs facilitate server-side functionality by overcoming the limitations of a specific platform or technology. So the REST APIs further make the app deliver native user experience for each mobile platform. The developers can further use the REST APIs effectively to access several libraries and modules for cross-platform mobile app development. It is important for the enterprise to identify and define the target audience of the mobile app clearly. The clarity will make it easier for programmers to create apps by focusing on the users’ experience and perspective. As a cross-platform mobile app must be accessible on a wide variety of devices, the developers must address experience-driving factors that will impact the app’s user experience. The experience-driven factors, however, vary from one platform to another. So the developers need to ensure that the app delivers native experience, while adhering to the conventions specific to the particular mobile platform. While developing cross-platform mobile apps, businesses have options to accomplish branding. But often over-branding affects the usefulness and performance of a mobile app negatively. A business can still promote a featured brand by linking it with specific functionality. The relevant linking will help the enterprises in promoting brands without affecting the app’s performance and user experience. 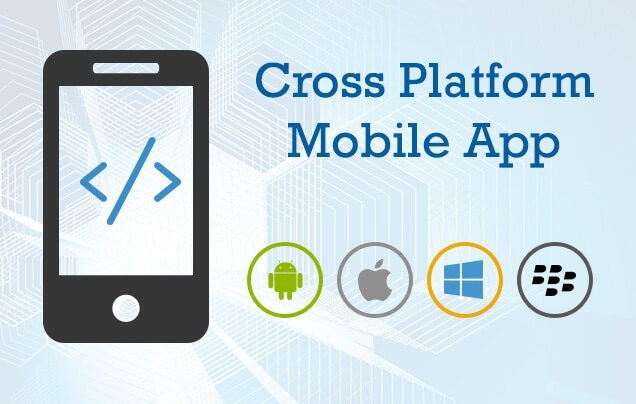 An enterprise can reduce the amount of time and efforts required for building a popular cross-platform mobile app by selecting the right tools. A number of recent reports have highlighted the rapidly growing popularity of Xamarin among mobile app developers. Unlike other mobile development tools, Xamarin enables developers to create native mobile apps for iOS, Android and Windows Phone using a single code base written in C#. The smart mobile application developers use further use Xamarin.Forms to write and share user interfaces (UIs) across these popular mobile platforms.